Anxiety can keep you so drained and overworked. Constant overthinking, negative thoughts, catasthropic scenarios along with a bunch of physical symptoms – no wonder you feel restless and mentally exhausted. Those negative thoughts in your head are so unhelpful… But even if your anxiety has no particular reason at all, the only thing is clear – anxiety can be managed. There is no need to swirl in anxious feelings and suffer from those anxiety symptoms. Simple journaling activities, like the ones that come with this Bundle, are capable of easing your anxiety and keeping your anxiety levels down. What if I told you that you can stop being a prisoner of your anxiety? That many times, anxiety can be eased just by writing your thougths down, spending some time looking at them from a side and challenging the negative beliefs that create those unpleasant feelings? 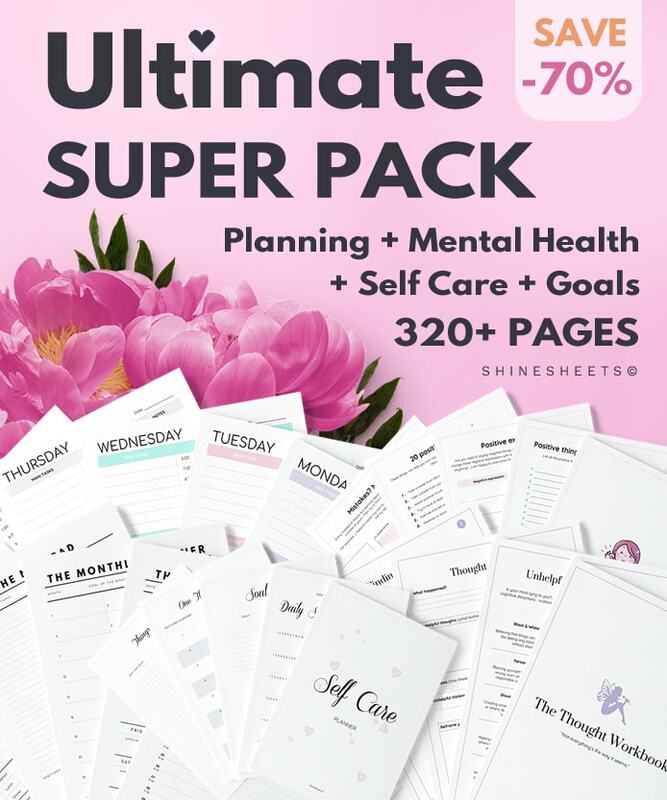 This Bundle is designed to help you calm down when you’re worried, practice daily journaling to stay mindful and track your anxiety + sleep levels. 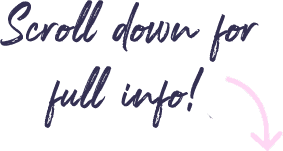 Scroll down for more info about this Bundle and how it can help you! A little anxiety is normal. It helps us take action and work to change things for the better. But when worry and anxious thoughts start to bother you too much, it can begin to impact your everyday life. And while it is completely ok to feel stressed, worried or scared… It doesn’t have to be this way. You don’t have to suffer even if things aren’t going that great. Anxiety doesn’t have to be feared, it doesn’t have to be dreaded or avoided. You don’t have to keep stewing in your negative thoughts until the problems pass…. Your anxiety can be controlled. This Bundle will teach you how to do just that! These printable journals and trackers will be your helpful anti-anxiety kit whenever times get hard, or you just feel the need for more resilience. Write down your thoughts in an anxiety journal, diffuse your worry in a guided workbook, track your sleep and anxiety levels and learn to manage your anxiety safely and medication-free. You will find that daily journaling and self-help activities are a soothing, therapeutic way to de-stress and calm down. Therapists all over the world are recommending anxiety journaling as a necessary activity for every anxious person. The journey to overcoming anxiety starts when you stop running from it and start to befriend it. This bundle is a great way to start. P. S. Do you have strong, persistent thoughts like intense worry or fear? 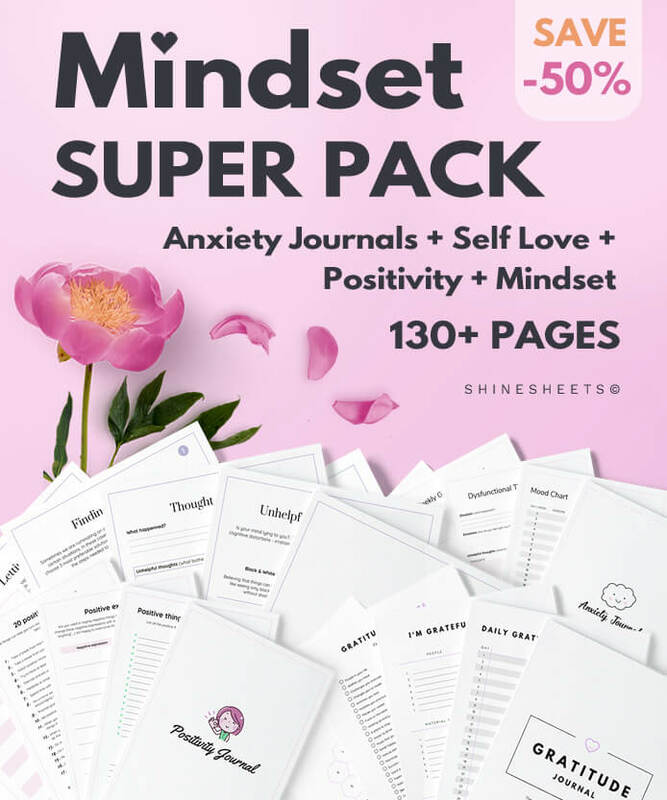 I recommend pairing this bundle with the Thought Workbook which helps you spot unhelpful & irrational thinking patterns that may be causing your anxiety. And, if you feel like your life or you are not enough, the Gratitude Journal can help you see it from a more helpful perspective. Anxiety doesn’t have to be your enemy. Yes, life gets tough sometimes, and it may be hard to stay calm. But you can always make a difference in the way you feel by choosing activities that are helpful and healthy. This Bundle is one of them! Great for my mindfulness practice. I use them to observe my thoughts, works well, calms me down 👍 I only wish the pages were numbered. Printed great, very happy with how they turned out. Helps me to worry less. I love these anti anxiety sheets, I would definitely recommend them for anyone who has anxiety. 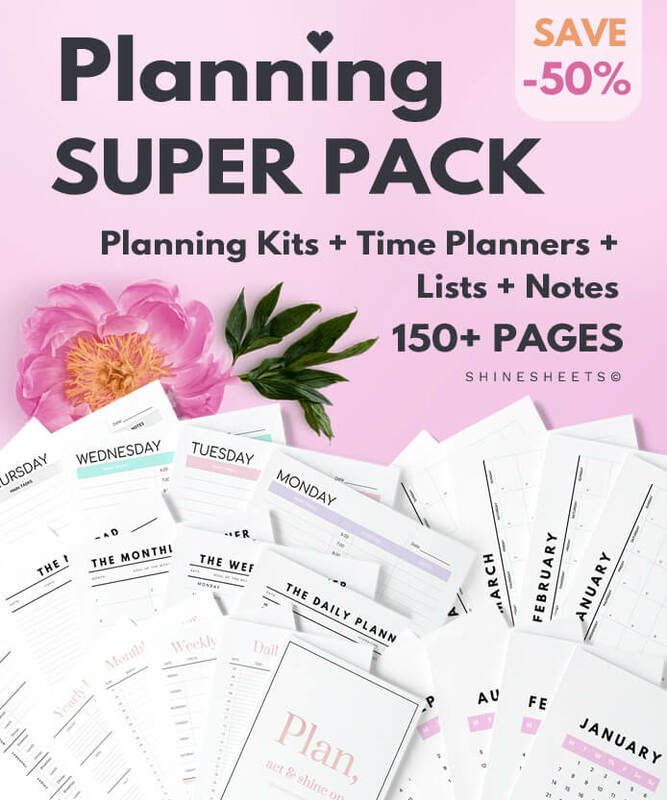 Very big bundle, a lot of great worksheets. Easy to use and helps me to calm down! 100% recommend.